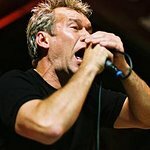 Australian rock legend Jimmy Barnes is putting the final touches to a brand new charity album to support victims of his homeland’s devastating floods. Flood waters have now reached the city of Brisbane, leaving at least 12 people dead and 70 missing as rain still lashes the country. Barnes has banded together with family members to lay down tracks for the album, which will be titled Flood Light, with songs from his brother-in-law guitarist Diesel, his son David Campbell and daughters Mahalia and EJ. Singer Kasey Chambers will also feature.